There are lots of brilliant art and crafts classes in Birmingham. From pottery courses for beginners (and babies!) to weekend workshops for adults, there’s something for everyone. I recently started an evening printmaking course at MAC: I wanted to get back into art again, and it’s also had a really positive impact on my mental health and well-being. If you’re interested in starting a new art or craft course in Birmingham, whatever your reason, here are some of the very best. The Crafts Collective offer bespoke craft workshops for individuals, organisations and groups from their beautiful studio in the historical Jewellery Quarter. Craft workshops include handmade gifts, candle making and wedding crafts. Workshops are available for groups including mums-to-be, hen parties and brides-to-be, corporate teams, schools, community groups and everyone in between! All of the workshops are bespoke and personal to you and your requirements, including refreshments. The Museum of the Jewellery Quarter offers one-off adult art workshops led by designers, artists and makers. These include jewellery making or seasonal sessions, such as a Christmas wreath workshop (amazing!). Looking for little ones? They have Family Fun Days, led by the museum’s learning team. Winterbourne is one of my favourite places for art and crafts classes in Birmingham. The Edwardian era Arts and Crafts botanical garden and house has changing exhibitions, including work by contemporary artists. Their one-off workshops include the likes of ‘Introduction to Stained Glass’, ‘Art in Stitches’ and ‘Gothic Script: Calligraphy’. They also feature seasonal sessions such as Christmas Wreath making. There are too many that I want to do! Looking for an art-themed gift idea? Head over to my feature on the best gifts for art lovers. Sundragon Pottery is a ‘not for profit’ Community Association. It was set up by Becky Belcher, Fiona Scanlan, Olga Terry and other refugees from the seven potteries that closed down in Birmingham (due to funding cuts) in 2013. They offer courses for both experienced and aspiring potters of all ages and abilities, as well as one-on-one tutoring and pottery parties. The Birmingham School of Sewing offers a wide variety of sewing-related, craft workshops and short courses. They welcome anyone passionate about sewing, from sewing novices experts looking to start their own business. Classes include dressmaking, bridal, tailoring, lingerie and bra making. They are taught by teacher and owner Sheila-May, who has been a Bridal Gown Designer for over 30 years. They have worked with all ages, from 9 to age 76, in the Sewing Studio at Sheila-May’s home. From one-day workshops to full twelve-week courses, MAC offers hundreds of creative courses for all ages and abilities. While they have no exams or pressure, the expert tutors ensure that participants see a real improvement in their practice. All of their art and crafts classes are held in specialised studios. Courses cover: textiles, painting, drawing, sculpting, ceramics, jewellery, digital media, film, stained glass, photography and more! Most courses – for children or adults – are structured by weekly classes, such as Relief Printmaking (12 weeks) which I’m on and enjoying a lot! Here I am making cards at the RBSA Gallery, which is featured in my list of the best museums & galleries in Birmingham. The Pen Museum offers a range of one-off calligraphy workshops, from 3-hour sessions to full day events. During your workshop you will learn calligraphy, design layouts and create your own script. 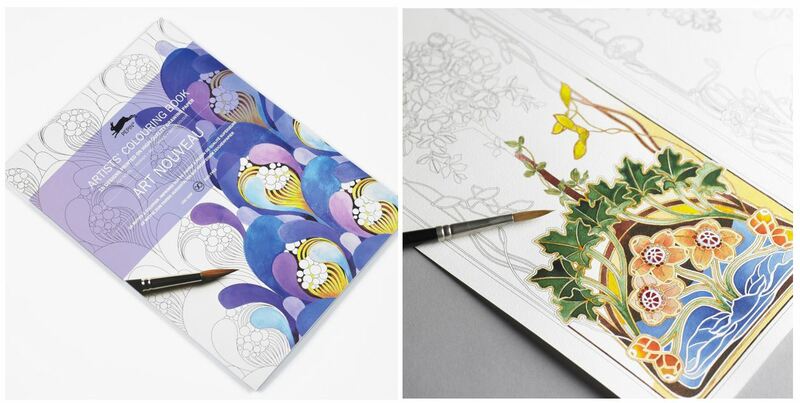 Nib holders, nibs, paper, various inks and practice lines are provided to complete cards. The sessions are open to adults and young people. At the beautiful Quarter Workshop you can take part in a variety of jewellery making classes and events. Workshops include a ‘Silver Bangle Class’, ‘Earrings, Pendant & Keyring Class’ and ‘Stacking Ring Class’. You can even sign up to make your own wedding rings! The RBSA offers a large number of workshops, which range from one to four days, including weekend dates. Every workshop is delivered by a Member or Associate of the RBSA in the charming gallery space. The number of workshop students is limited to a maximum of ten, providing more opportunities for one-to-one tuition than large classes. There is a relaxed feel to the sessions, which include complimentary tea and coffee (always a bonus!). Art and craft classes feature a variety of techniques from Woodcut Printing for Beginners (1 day) to Painting from Life in Oils (2 days). They also run Family Fun workshops during school holidays and half-terms. This is the Birmingham branch of the UK’s leading independent art school, with a focus on providing high quality art education. They offer a range of short art courses covering a range of media from Life Drawing to Digital Photography, and for all abilities. If you would prefer to learn alone, they also offer personal art tuition, including for school children. 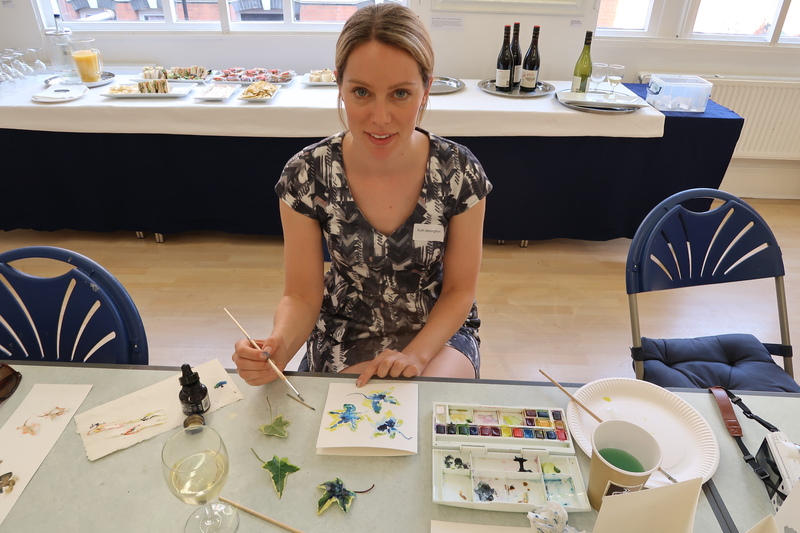 If you are looking for corporate art events, or team building opportunities, the Independent Art School can also create events based around painting, sculpture, drawing and photography. Ikon Gallery have a dedicated Learning Team who really bring their contemporary art exhibitions to life. While many of their art and crafts classes focus on schools, families and young people, they also offer practical workshops for adults. These afternoon gallery-based sessions provide an informal and fun way to explore the current exhibitions. Short Courses and Masterclasses provide practical hands-on sessions with expert tuition from professional artists. Events vary with each exhibition. I also recommend a coffee in the lovely Yorks Café at Ikon after your art class! Okk Arts run a series of ‘Unleash Your Inner Artist’ events, from 5.30pm – 7.30pm at Lost & Found in Birmingham city centre. They take place every third Monday of the month. Participants can come to just one event or to all, as there are different assignments each time. This class is perfect for people with no previous experience in the arts and focuses on the process of making, although you leave with an artwork. ‘Master Your Inner Artist’ is a 6 week course, during which you will develop your drawing skills from still lifes and live models. Again this takes place at the Lost & Found, so you can enjoy a glass of wine while you create art! Both series are run by practising artists.